SIMAS can provide a range of services for both technical aspects of mine clearance (including training) and general project planning, field study, risk and quality management. This refers to "activities which seek to reduce the risk of injury from mine/unexploded ordnance by raising awareness and promoting behavioural change, including public information dissemination, education and training, and community mine action liaison." (IMAS 07.11). Mine Risk Education is one of the five key components of mine action which include: Deming (i.e. 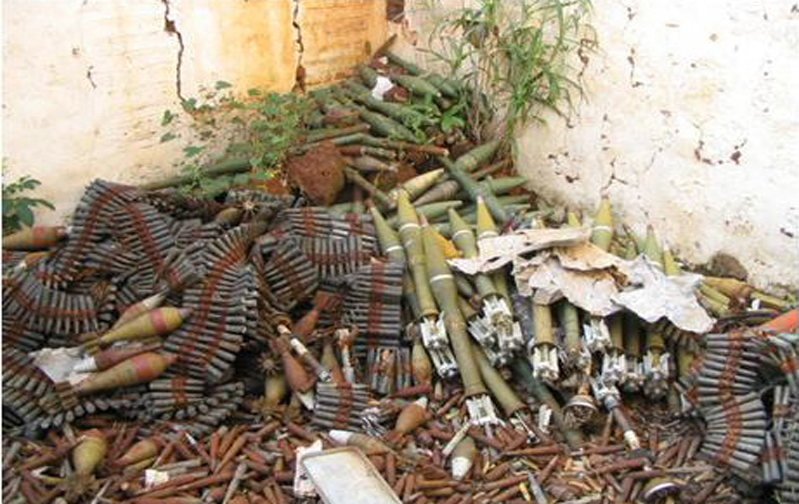 mine and ERW survey, mapping, marking and clearance); victim assistance (rehabilitation and reintegration included); advocacy against the use of landmines and cluster munitions; and stockpile destruction. SIMAS was initially founded deliver Mine Risk Education to at risk population in parts of the liberated area in the Sudan by then and later limited its activities to South Sudan especially after its independence in 2011. SIMAS has implemented a number of MRE projects with the recent ones being in Central and Eastern Equatoria and Jonglie states. Funding for the MRE came from the UNICEF, UNMAS, The Swiss Cooperation and UNOPS among others. Each clearance and land reclamation project presents a unique set of technical, logistical, operational and cultural/political challenges. To fully integrate all of these factors into a coherent, practical and effective programme requires proven professional approach coupled to a deep understanding of mine action operations. SIMAS adopts a meticulous approach to planning, ensuring that a comprehensive approach is presented to the client covering every aspect of an efficient and safe deployment of resources in a cost effective manner. Particular attention is paid to anticipating unexpected circumstances which can be expensive in terms of time and money. The aim of mine clearance (which includes manual demining / clearance and Battle Area Clearance - BAC) is the identification and removal or destruction of all mine and ERW hazard in a designated area to a specified depth. Managers of clearance programs must aim to use all available resources to ensure that land is cleared in the most effective manner. This requires management systems and clearance procedures which are appropriate, efficient and safe. 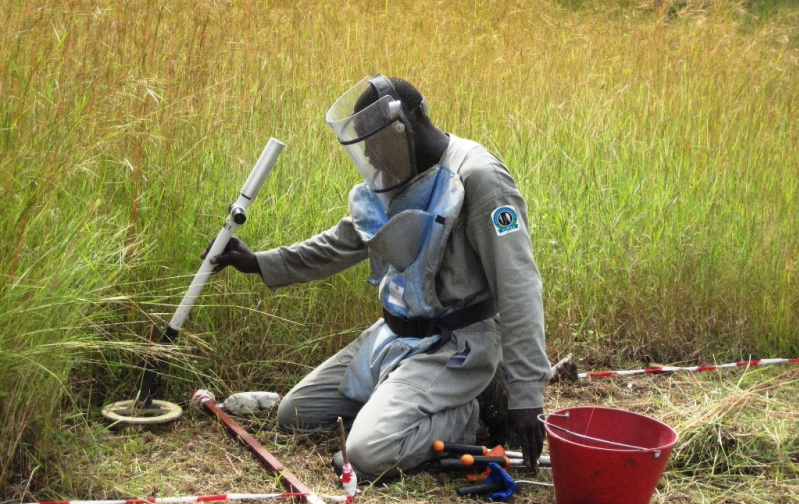 SIMAS in most cases applies a ‘toolkit’ approach to mine clearance. This is typically composed of three elements: manual clearance, mine detection dogs (MDDs) and mechanical mine action systems. Manual Clearance is a process of using metal detector and series of tools (prodders, trawl shears, etc.) to locate and verify a mine or ERW. Identified suspicious objects are then carefully investigated and if a mine or ERW is confirmed it is destroyed through controlled explosion (either in place or in a centralised demolition site at the end of the day’s work). Mechanical ground preparation machines are used to support clearance operations. 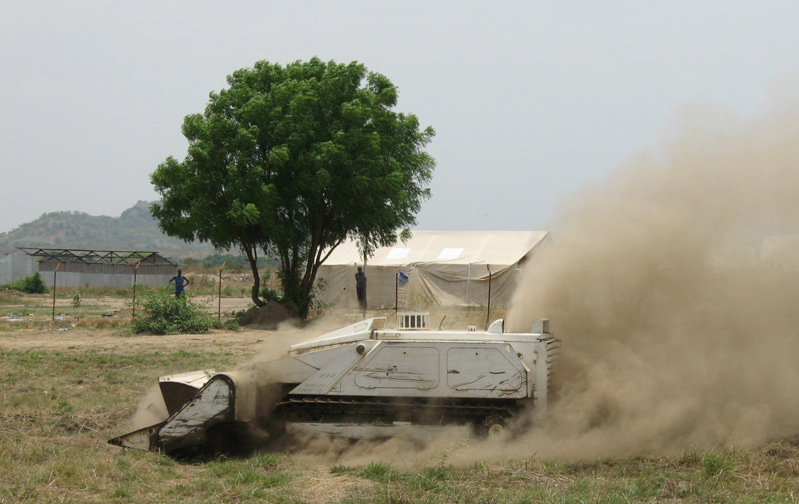 At present, where such machines are used, their operation is usually confined to the reduction of risk by the removal of vegetation and tripwire operated mines and some mine destruction as part of area reduction and in support of either manual clearance operations or MDDs. Explosive Ordnance Disposal (EOD) is specialised operation conducted by highly trained operators aimed to remove the threat posed by explosive remnants of war (ERW) which have been fired, but failed to detonate or abandoned after the conflict.